“Journeying West: Significant Firearms from the Smithsonian” is revamped and on display on the Cody Firearms Museum’s main level. The Buffalo Bill Center of the West, an Affiliate of the Smithsonian Institution, hosted Journeying West: Distinctive Firearms from the Smithsonian from May 2013 through April 2018. The National Firearms Collection at the Smithsonian Institution’s National Museum of American History was established in 1876 in honor of the American Centennial. Since then, it has grown to nearly 7,000 firearms. On display here were fifty objects from that collection. 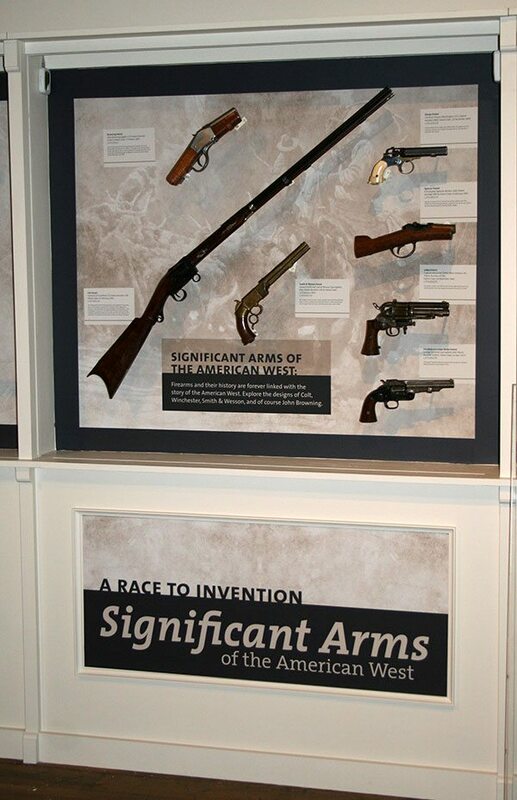 Exhibition themes included: A Race to Invention: Patent Timeline; Significant Arms of the American West; Combination Arms; Cutting Room Floor; and From Invention to Ownership: International and American. A seven-foot-long gold Miquelet lock musket given to President Thomas Jefferson in 1805 by the Bey of Tunisia after the Tripolitan Wars. Made in 1789 by maker Muhammad of Montenegro, this extravagant firearm is often considered a national treasure. A beautifully-embellished Jaeger rifle that belonged to Catherine the Great of Russia (1729 – 1796). A velvet cheek piece added to this firearm ensured her imperial face would not touch the stock. A folding knife made ca. 1880 by the Holler Firm in Germany for display in a store window in New York City. 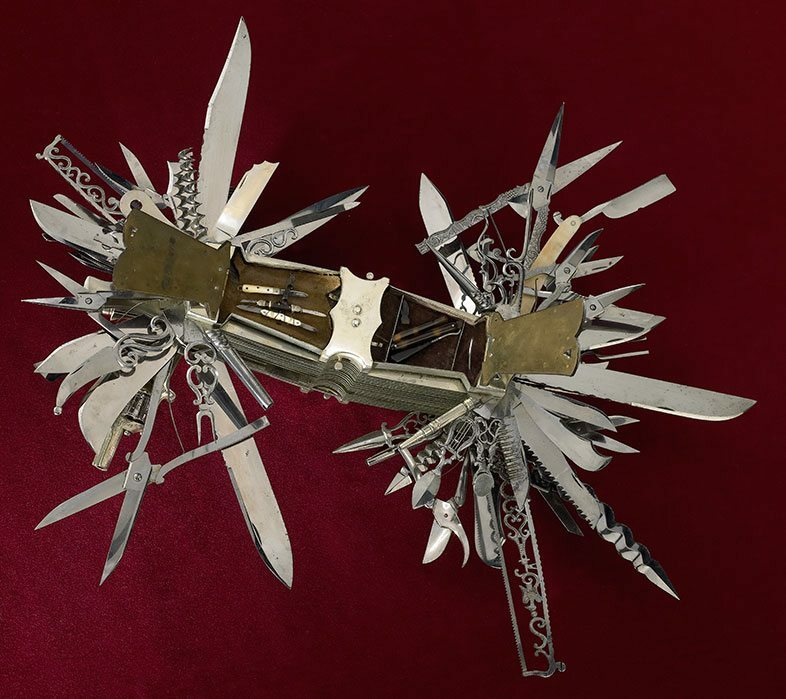 Its one hundred “blades” include a cigar cutter, button hook, tuning fork, pencils—and the .22 caliber revolver that earned it a place in as firearms collection. A western cinematic favorite, the Gatling gun—in this case a patent prototype. Inventor Richard Gatling created this wooden miniature to submit to the U.S. Patent Office. The patent for the Gatling gun was approved in 1862, allowing for the production of the full scale Gatling guns. The Buffalo Bill Center of the West and the Smithsonian Institution were pleased to allow visitors the opportunity to explore firearms that have helped shape our nation and beyond. 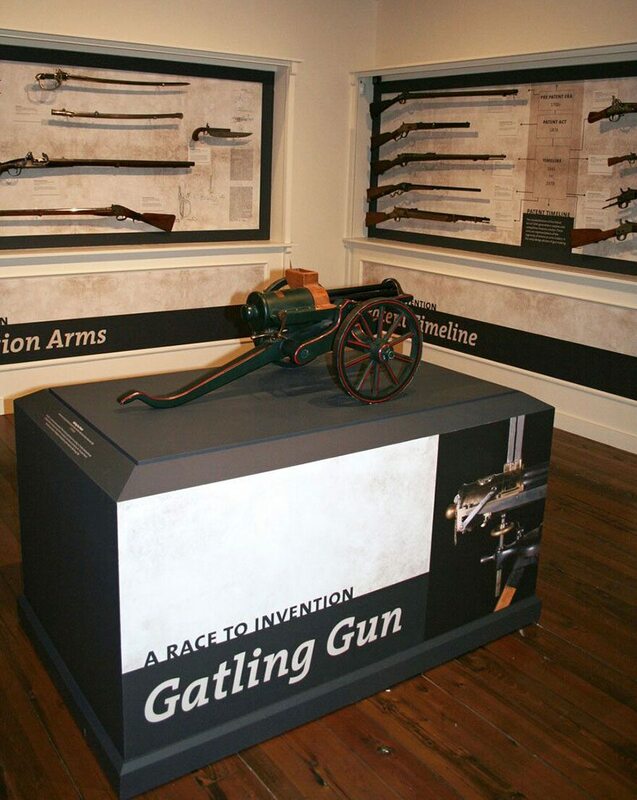 Gatling gun patent model has center stage in reopened “Journeying West” exhibit. The Buffalo Bill Center of the West is an Affiliate of the Smithsonian Institution.